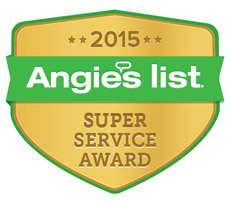 My Guys Moving & Storage has earned the service industry’s coveted Angie’s List Super Service Award, reflecting an exemplary year of service provided to members of the local moving services marketplace and consumer review site in 2015. “This is the fourth time (2015, 2014, 2012 and 2011) that we have earned this prestigious award for our local moving and long distance relocation services. 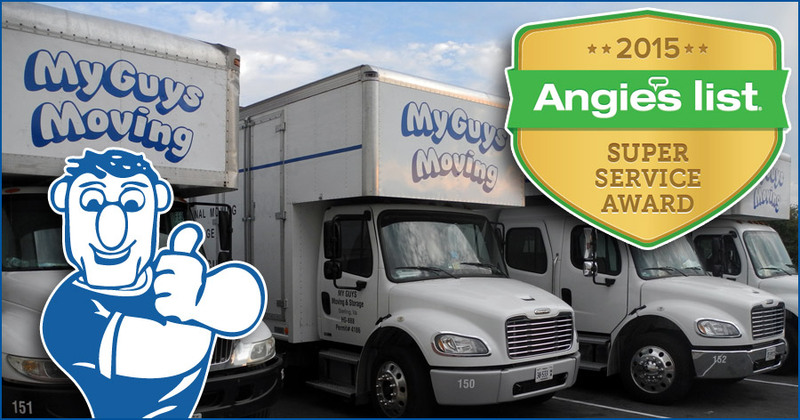 As a professional moving company, we are proud of all the guys – the customer service reps, the relocation specialists, the operations managers, the movers and packers, and warehouse personnel – it takes an entire team to provide this level of service and customer satisfaction. But most of all, we’d like to thank our customers who make it possible to be in business,” said Brendan Bowie, Vice President of Marketing.